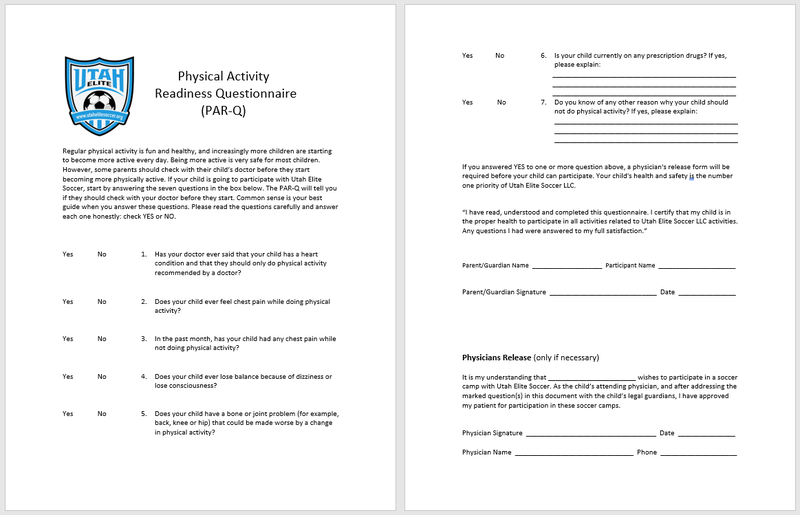 Please fill out the following forms and bring them to the first day of training. They are required for participation. You may also email signed digital copies to coachsearcy@utahelitesoccer.org. 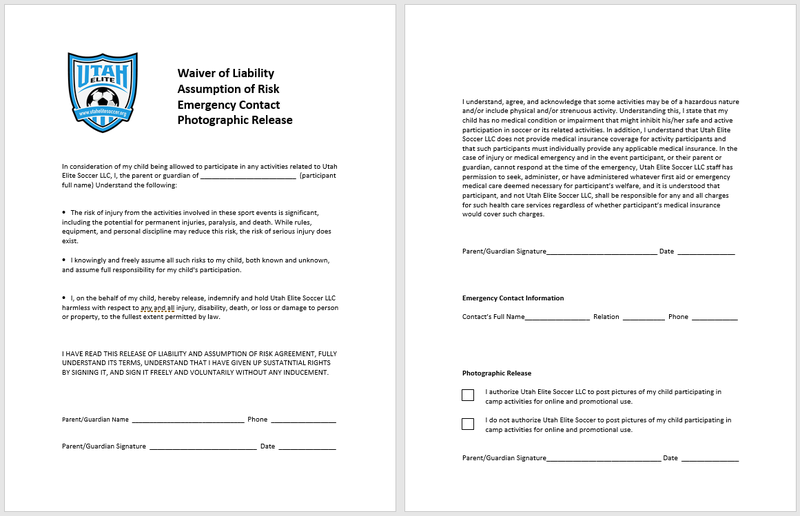 of Risk, and ​Emergency Contact form.